Much has been speculated about the future of the 2022 World Cup tournament due to be held in Qatar eight years from now. From back-door financial bribery to heat factor in the summer, there are many reasons why football professionals and fans oppose the biggest tournament in the world taking place in that particular region of the world. At last FIFA had made a decision that will move the 2022 tournament out of Qatar. 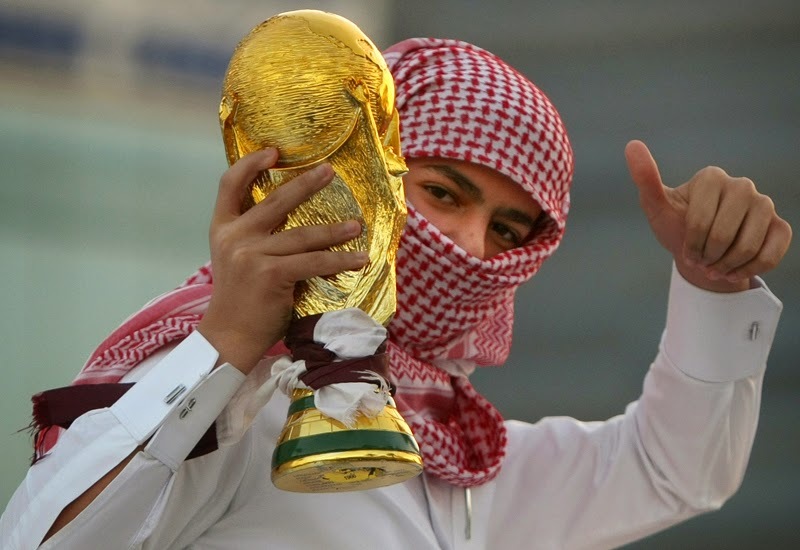 But instead of taking the 2022 World Cup out of the immediate region, football's governing body awarded the tournament to neighboring United Arab Emirates, which essentially does not resolve any of the issues presented by the original hosts, Qatar. In an interview for FootyFair.com FIFA President Sepp Blatter said: "The Emirates just makes so much sense. They have a lot of money, which should assure a smooth operation of the tournament. Also, because of previous allegations of the FIFA comittee being bribed by the Qatari officials with cash payments, the Emirate representatives were nice enough to offer our staff with material gifts instead." When asked about the specifics of the 'material gifts', Blatter continued: "We did not ask for anything spectacular. Most of our representatives just wanted small things like performance vehicles and yachts. We were a little bit surprised when the Ferrari cars sent to us as gifts were gold plated. But this just means that we will now have to work extra hard at fending off those who oppose the UAE hosting this tournament." When asked about the issues of weather, the FIFA President explained: "The weather in the Emirates is basically the same as Qatar. But in the places I have been the air conditioning seems to be working better by about a degree. So for those of us staying indoors it'll be no trouble at all". Thanks for reading Friday's Fake News. Please note that none of what you have read above is true, and we have never really met Sepp Blatter before. If we have however, we would surely tell him that this would be a ridiculous idea.